The seventh annual Graduate Student Research Forum, which showcases the research, scholarship and creative expressions of more than 100 UO graduate students across 40 disciplines, will be held at the Ford Alumni Center on Friday, Feb. 26. The event runs from 10 a.m. to 4 p.m. An after-event reception will be held at The East Barn Light. Graduate students will compete for more than $5,000 in awards through panel and poster presentations and, for the first time, five-minute “blitz talks,” where students will present short, accessible summaries of their research. Crossing Borders, Crossing Cultures, Crossing Frontiers: Language, migration, identity and the synthesis of cultures. Breaking New Ground in the Sciences: Approaches to reproducibility and data management, shifting paradigms and innovative research practices. Challenges for a New Generation of Leaders: Policy, scientific and social approaches to emerging and continuing catastrophes. In Our Own Backyard: Pacific Northwest life, research and education, community and philanthropy. Visitors will be exposed to research on a variety of topics, from how the context of online news shapes ethical decision making to how the increase of Type 2 diabetes in Mexico relates to shifts in lifestyles among urban populations. Grad Forum presenters will have the opportunity to discuss their research with peers, professors and professionals outside their field. 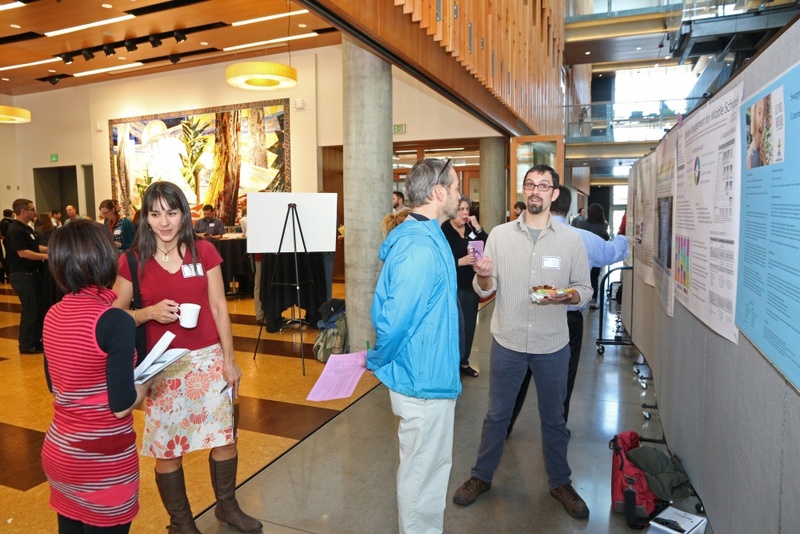 The event highlights the diverse range of work being conducted by UO graduate students in classrooms, laboratories, libraries and studios and provides invaluable professional development experiences for UO’s graduate students. Competitive awards totaling $3,000 will be granted to four teams of panel presenters. Two “blitz” presenters and up to eight poster presenters will be awarded $250 each, including the People’s Choice poster winner, determined by the votes of the Grad Forum audience. The awards may be used toward a professional development opportunity of the winner’s choosing, such as attending a conference, purchasing research supplies or traveling to a job or internship interview. The awards have been made possible by the generous support of this year’s Grad Forum partners. Representatives from the Grad Forum’s partners, professionals from the community, and members of the faculty, staff, and administration will serve as judges. View the full schedule of events at the Graduate Student Research Forum website.